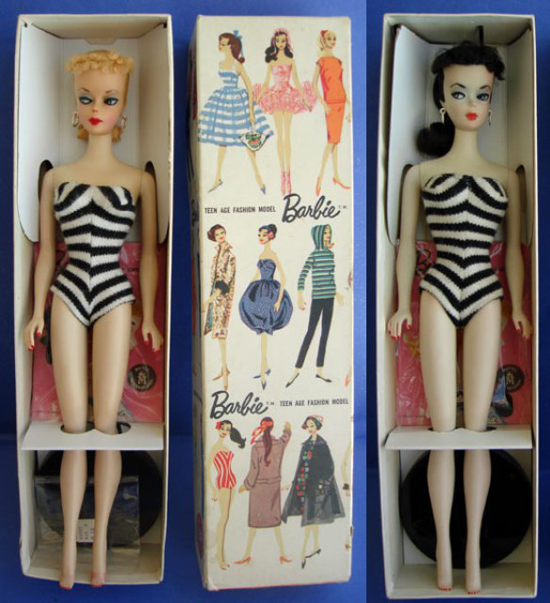 Full name: "Barbara Millicent Roberts"
Features: The first Barbie doll wore a black and white zebra striped swimsuit and signature topknot ponytail, and was available as either a blonde or brunette. The doll was marketed as a "Teen-age Fashion Model," with her clothes created by Mattel fashion designer Charlotte Johnson. 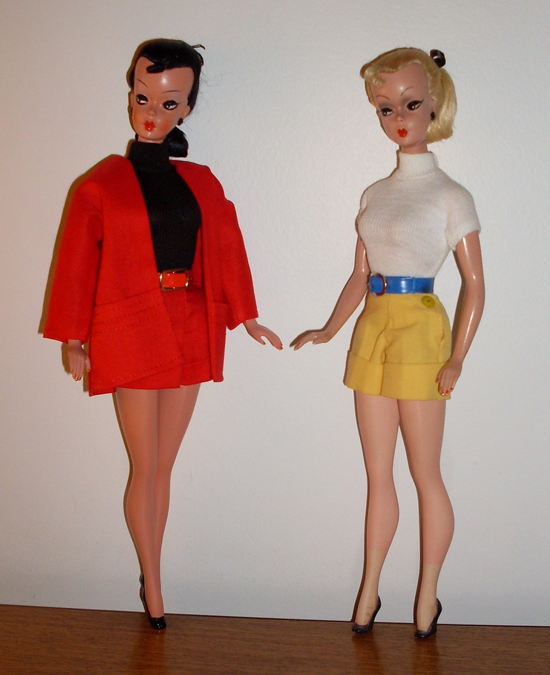 The first Barbie dolls were manufactured in Japan, with their clothes hand-stitched by Japanese homeworkers. Around 350,000 Barbie dolls were sold during the first year of production. 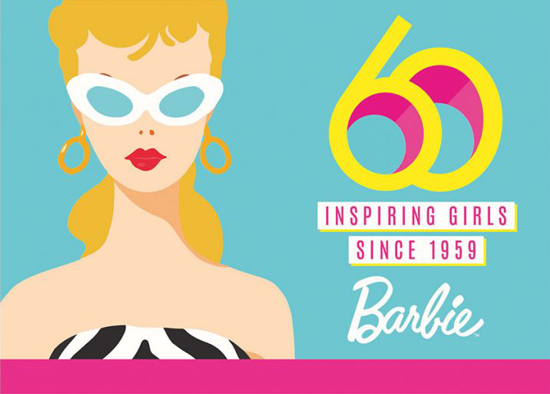 Interesting facts: The name Barbie was inspired by Ruth's daughter Barbara. The best-selling Barbie doll ever was 1992 Totally Hair doll, with hair from the top of her head to her toes. Quote (Ruth M. Handler): «They were using the dolls to project their dreams of their own futures as adult women». 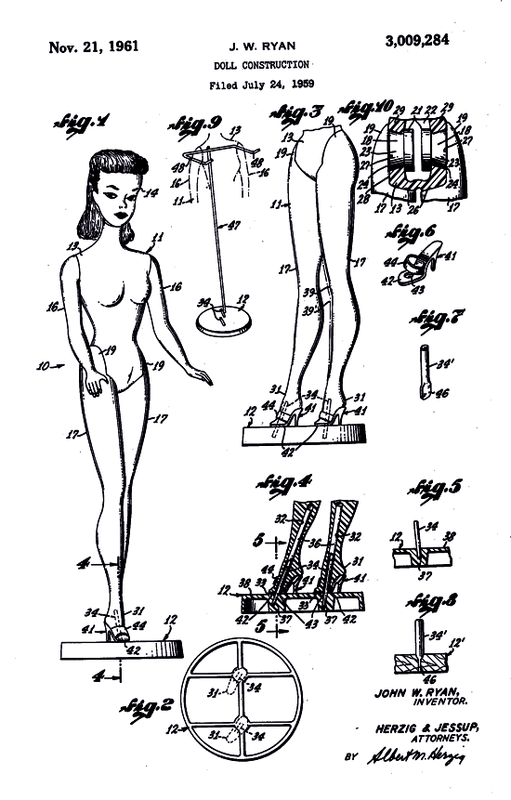 Barbie doll construction Patent (Nov. 21, 1961, filed July 24, 1959) granted to Jack Ryan, the designer who revisited the Bild Lilli doll to create the Barbie doll. The Bild Lilli doll was a German fashion doll produced from 1955 to 1964, based on the comic-strip character Lilli. Ruth Handler reworked the design of this doll (with help from engineer Jack Ryan) to create her Barbie.